This gift set includes a 4.2 oz and a 1.36 oz Eau De Parfum Sprays. 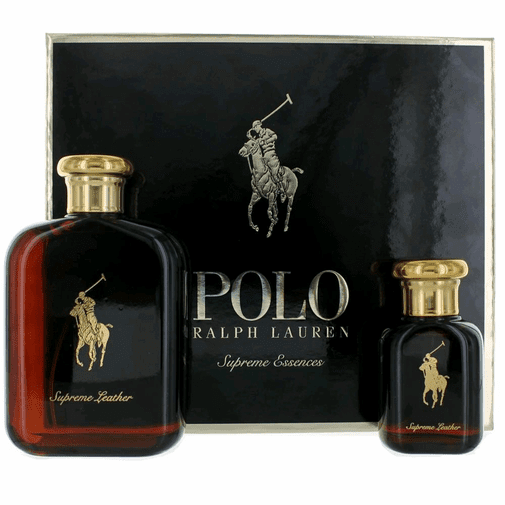 Polo Supreme Leather by Ralph Lauren is a Leather fragrance for men. Polo Supreme Leather was launched in 2015. Top notes are cardamom and nutmeg; middle notes are leather and saffron; base notes are honey and tonka bean.